A modern and sporty ladies' chronograph watch from Tommy Hilfiger. 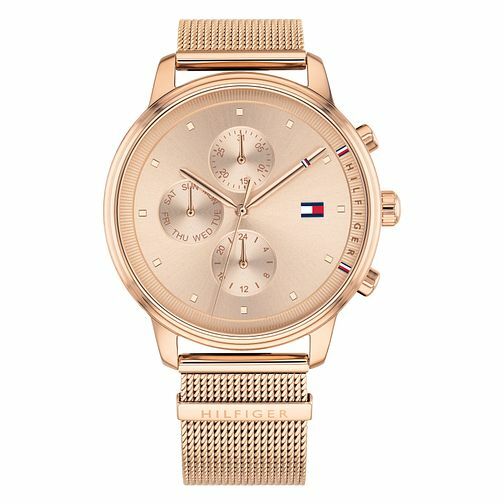 Featuring a 38mm ionic rose gold plated case, ionic rose gold mesh bracelet, and a chic rose gold dial. The Tommy Hilfiger flag is positioned at the 3-o-clock mark, and subtle cubic hour indices complete this classic timepiece.